Mandalas have gained popularity in recent years as both a tool to use in meditation and as decorative designs for coloring or displaying. Drawing on the symbolism of the traditional Indian or Buddhist mandala, it is often viewed as a symbol of the universe or as a means to reach spiritual enlightenment. But not all mandalas are meant to be serious representations of complex concepts. Some are simply meant to be enjoyed. Improves Focus: Coloring mandalas allows your brain to switch off the constant flow of thoughts or chatter in the head as you focus on the act of coloring. 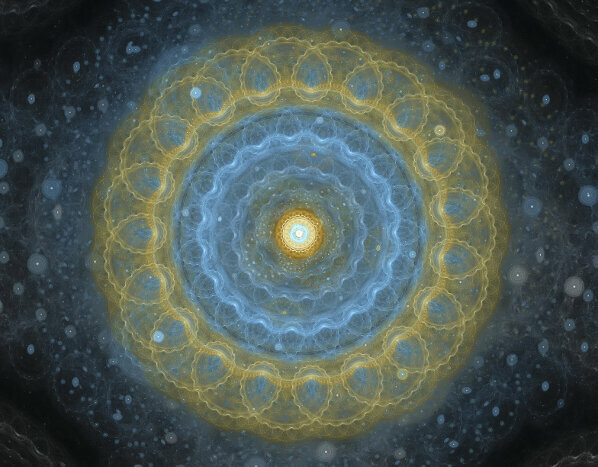 When the mandala has specific meaning for you, it may help you focus on and enhance those concepts in your life. Reduces Anxiety: Free-floating anxiety fades away while you are engaged in coloring much like it does when you meditate. Stress Relief: The act of coloring relaxes both your body and mind allowing them to release the stress of the day. This frees the mind to engage in positive reflection. Promotes Mindfulness: Engages your brain in mindfulness as it focuses on the activity at hand. Encourages Creative Expression: Coloring premade mandalas allows creative expression within a safe framework. This may be of benefit to those who enjoy creating art, but do not have the skills or confidence to create original works of art. Where Do You Find Mandalas? Mandalas are a popular topic and can be found in a coloring book, online, in new age shops or in art stores. These designs take on many forms and can be detailed designs filled with symbolic representations of the universe or of a specific concept, such as freedom, peace or eternity, or can be visually-appealing, repeating images in a circular motif. You may find them in both children’s and adult’s coloring books. How Do You Use Mandalas? Coloring or designing mandalas is often used as a way to relax and engage your creative side. The process is meditative and often brings about a state of peacefulness that follows you long after the activity is completed. They may be used in schools to help children focus and relax. As such, they may relieve performance anxiety, improve peer interactions and help the child activate his natural creativity. For adults, coloring mandalas can be an enjoyable activity to soothe away the stress of a busy week as you enjoy the meditative state it brings. What Kind of Mandala Should You Choose? The act of coloring the mandala is responsible for the benefits it brings, but if you want to enhance those effects, try choosing mandalas with the purpose of the design in mind. 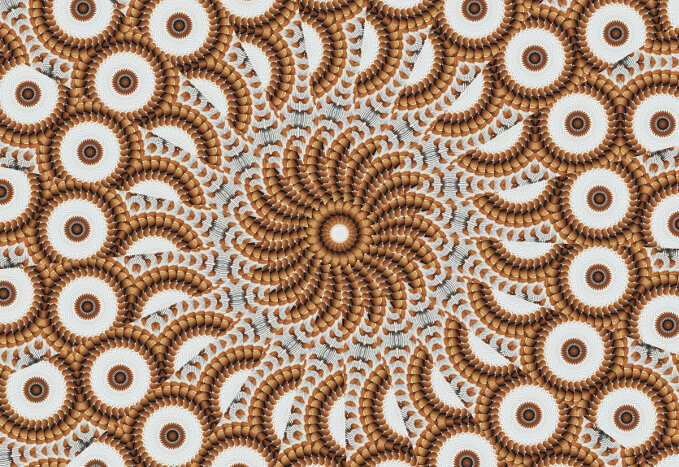 Flower Mandalas: These mandalas typically feature the bloom of a flower with the repeating petals and intricate designs filling the concentric circles. They may include bees, butterflies, dragonflies and ladybugs. They typically symbolize femininity, fertility or balance and eternity. Celestial Mandalas: These attractive designs include heavenly bodies such as the moon, sun and stars. They may represent wisdom, spiritual awakening or eternity. They are often part of tribal mandalas and take on the symbolism of the culture of the tribe. Geometric Mandalas: These delightful mandalas are created with interwoven geometric shapes that occur in repeating patterns. Shapes my range from rectangular and triangular to ovals, circles or a series of curlicues. Geometric mandalas allow plenty of room for creative color work. Religious Mandalas: These mandalas may be designed to mimic the traditional Buddhist mandala or may incorporate symbolism of a specific religion or sect. For Christianity, the mandala may include a cross, doves, lilies or any variety of Christian symbols. The background may simulate stained glass, sunrise or a heavenly view. If you are religiously minded, you may enjoy working with mandalas that promote your religious views. Nature Mandalas: These are similar to flower mandalas, but often include a host of images representing nature. They may include mountains, oceans or fields of wildflowers. These mandalas may help you get in touch with the natural world around you. Mandalas for coloring are as varied as your imagination. While some themes are more popular than others, with a little searching you can find mandalas to fit nearly any passion or interest. Coloring, designing or displaying mandalas that reflect your particular interests and passions is a great way to bring those interests to life.